They call it the Anvil. The place where metal is forged into weapons of destruction. When you see it in an astrogation virtuality, the name seems out of place. But come with me! Let me show you the null fire of pirate fleets burning the hulls of Venu warhawks in the shadow of the Warstar! 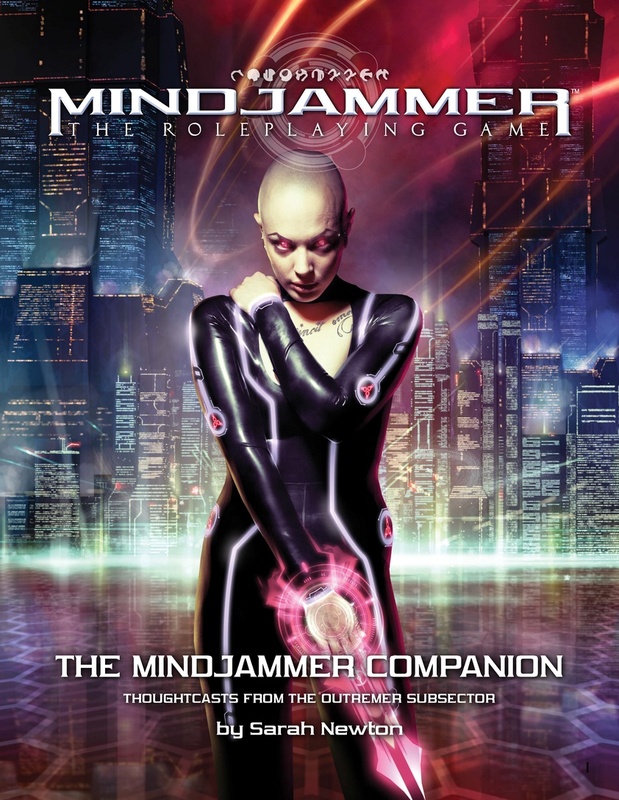 The Mindjammer Companion welcomes you to the turbulent worlds of the Outremer subsector, out on the Commonality frontier. It’s the heart of the Rim Sector, a spectacular, violent place of feuding polities in the no-man’s land between the Commonality and the Venu Empire. In the aftermath of war, everything is up for grabs: Successor States rise and fall, the new xenomorph Sentient Alliance flexes its muscles, and the Commonality and the nefarious Venu jostle for position, knowing that war could break out again at any moment. 55 pages. Written by Sarah Newton. Available in PDF.